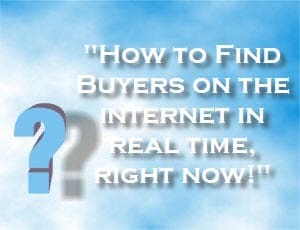 Home›Posts Tagged "real estate internet marketing"
How To Find End Buyers For Your Real Estate Deals On The Internet In REAL TIME! The internet is a goldmine for such a business. Consider this . . . If you are a real estate wholesaler or flipper, then your main sources of end buyers are other investors including rehabbers. Where could you find other investors and rehabers on the internet? There are many sources for that, but today I would like to talk to you about one source, social media. In fact, BiggerPockets is one website where you can find thousands of other real estate investors who are looking for what you have to offer. Few other websites including Facebook and Twitter offer the same opportunities.